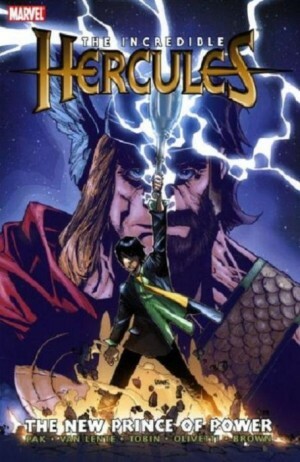 Misdirection is the theme of The Mighty Thorcules, which adopts the slightly awkward format of alternately focusing chapters on Hercules and his erstwhile companion Amadeus Cho. Cho, lest we forget, numbers among the smartest folk on the planet despite only being sixteen, and he’s noticed a pattern of coincidence in his travels with Hercules amounting to something more than chance. Discovering his sister may still be alive while journeying among the dead in Dark Reign sealed the confirmation. Believing his best opportunity to discover what this may be lies in divesting himself of Hercules and Athena, he travels alone. His first call of investigation is the small town hosting the Excello company, who organised the competition confirming his genius-level intelligence, and while en route Cho studies his ancient Greek mythology. Both reveal some uncomfortable truths, while the history of the company ties into a 1940s hero. By the end of the sequence Cho has his answers, and doesn’t like them. So what’s Hercules up to while all this is occurring. 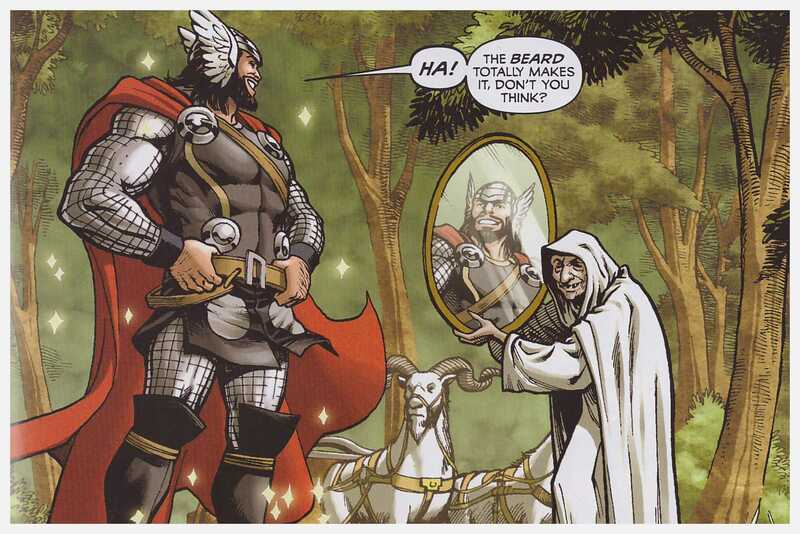 Well, his new even more youthful travelling companion is proving quite the handful, and he’s approached by Asgardian warrior Balder, who has dire need of Thor. 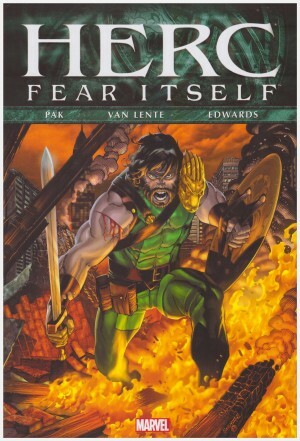 Unfortunately Thor’s unavailable, but surely Hercules can stand-in and impersonate him. After all, he has the godly demeanour and the appropriate level of strength, so all that’s needed is the costume. Greg Pak and Fred Van Lente twist this scenario for all its worth, throwing in surprise after surprise as Thor’s reputation is trashed. 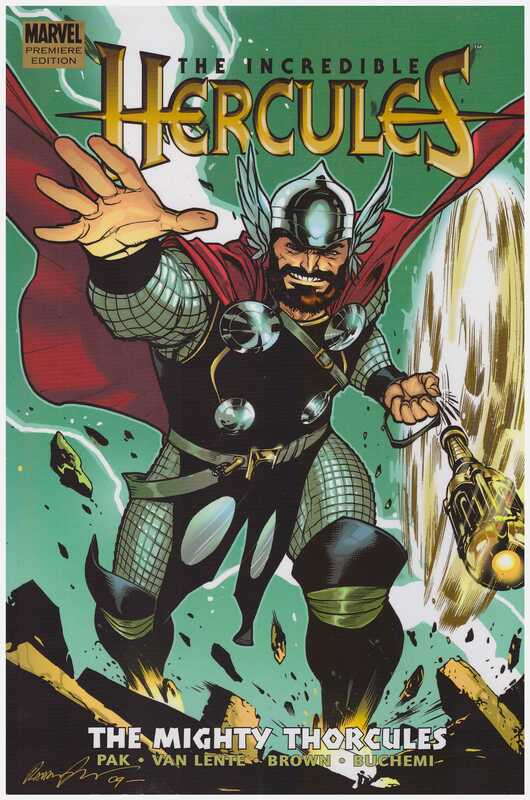 And when Thor discovers what’s been going on, for various well-plotted reasons, he has to impersonate Hercules with equally diverting consequences. There are again two artists over six chapters, but given the format this makes sense. Reilly Brown delivers the rollicking action of the Hercules sequences, while a more subtle touch is supplied by Rodney Buchemi, who’d previously been more than at home with the mythology. 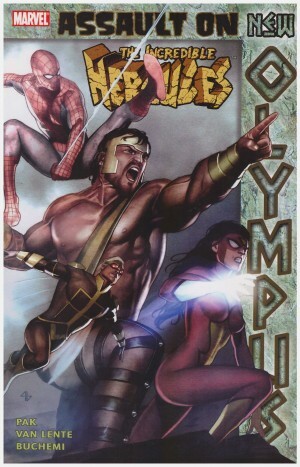 Unusually, both continue through to the next volume, Assault on New Olympus.